Xbox 360 Edition Color Map? 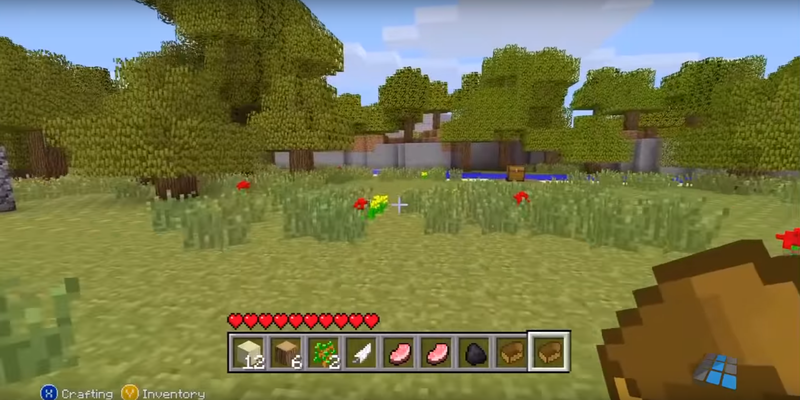 I was browsing Youtube and happened to stumble upon an aged Minecraft: Xbox 360 Edition free trial let's play. My eyes almost rolled off of it, but the beautiful, vibrant colors of the foliage compelled me to click. The attachment I've added shows just exactly what I'm talking about. As you can observe, the colors are immaculately pretty and I just can't help but feel that the look of the java edition just isn't up to par. So, I rely on you, dedicated minecraft community. If there's anyone out there that would be selflessly up to the task of recreating a color map in respect to the look of the one in the png file attached to this post, I'd tremendously appreciate it. Thanks in advance!